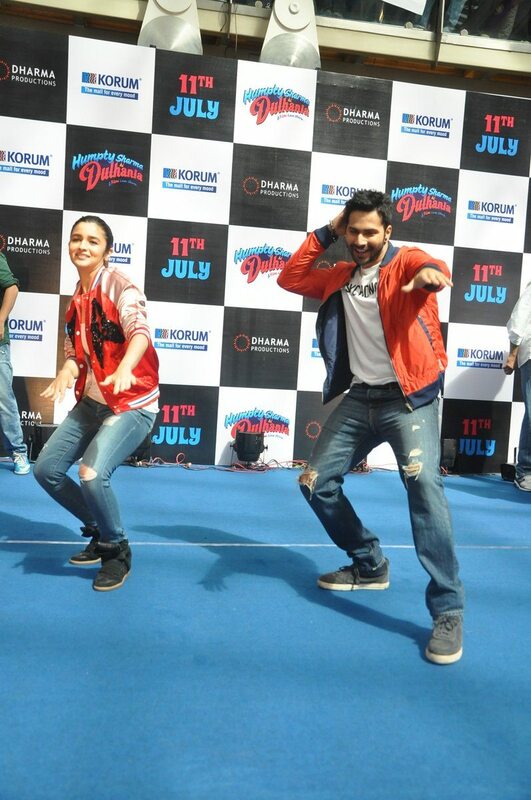 Alia Bhatt and Varun Dhawan on last lap of promotions for Humpty Sharma Ki Dulhaniya. Bollywood’s most adorable couple Alia Bhatt and Varun Dhawan promoted their upcoming movie ‘Humpty Sharma Ki Dulhaniya’ (HSKD) at Korum Mall in Mumbai on July 7, 2014. 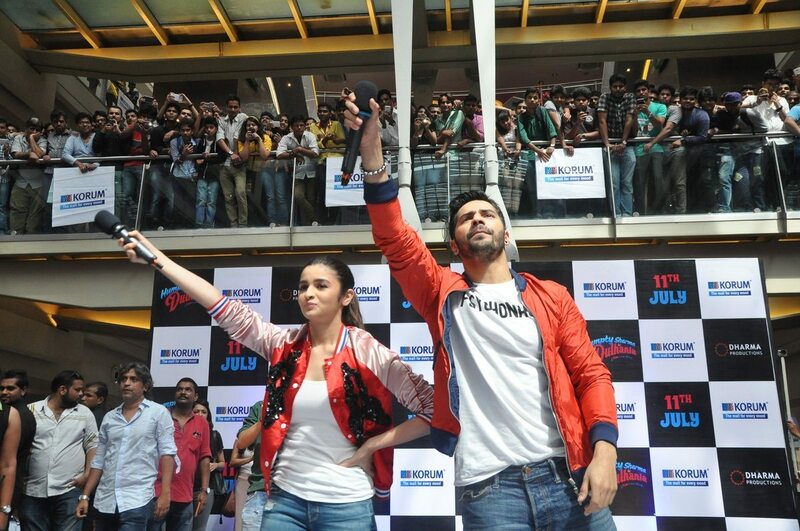 The duo amped up the fun quotient at the mall as they danced to movie’s tracks on stage. Dressed in a similar orange jacketed attire, Alia and Varun interacted with eager fans present at the mall. The movie is all set to hit the theaters on July 11, 2014 and is produced by Karan Johar and directed by Shashank Khaitan.